At some auto shops around Salt Lake City, service for vehicles like Hummers might be a bit of an issue. Hummer vehicles stopped being produced regularly back in 2010, meaning that some of the shops you’ll find these days don’t have mechanics who are experienced or confident repairing them. At Jerry Lambert Automotive, this is absolutely never an issue. We’re not only prepared to handle all levels of service for vehicles like Hummer, we welcome the opportunity to work on vehicles we don’t see as often these days. All our technicians are fully trained to work on a wide range of vehicles, including those like Hummer that aren’t in active production. 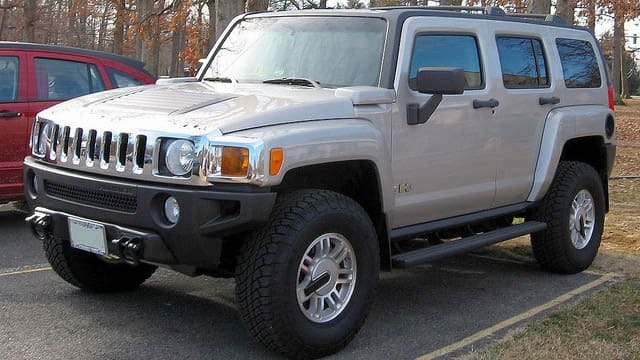 Known as a specialty vehicle produced by General Motors for 11 years between 1999 and 2010, Hummer is famous for its large size and use in various military operations. The vehicle found on roads is the civilian version, of course, but it’s a large and noticeable vehicle that immediately brings both status and functionality to the owner. Hummers are great for both road and off-road driving, but this means you need a service team that can handle a wide range of demands. Come to Jerry Lambert Automotive to get this and more. Our central location means you can get your Hummer into our shop conveniently from all around Salt Lake City and the surrounding areas, including West Valley City, Murry, Sandy and others. Our technicians are all ASE-certified, and our entire shop is NAPA-certified as well. Our A+ rating with the better Business Bureau comes from our combination of customer service and incredible quality, a reputation that goes back generations and one we’re very proud of. So for all services related to your Hummer, call the pros at Jerry Lambert Automotive today to set an appointment – or simply come visit us at our convenient location.